How do we sing on Sundays at Chapel Hill and why? Music is the universal language. In all the complexity and intricacy of the human condition music is somehow able to puts its finger right on what we can scarcely articulate with words. 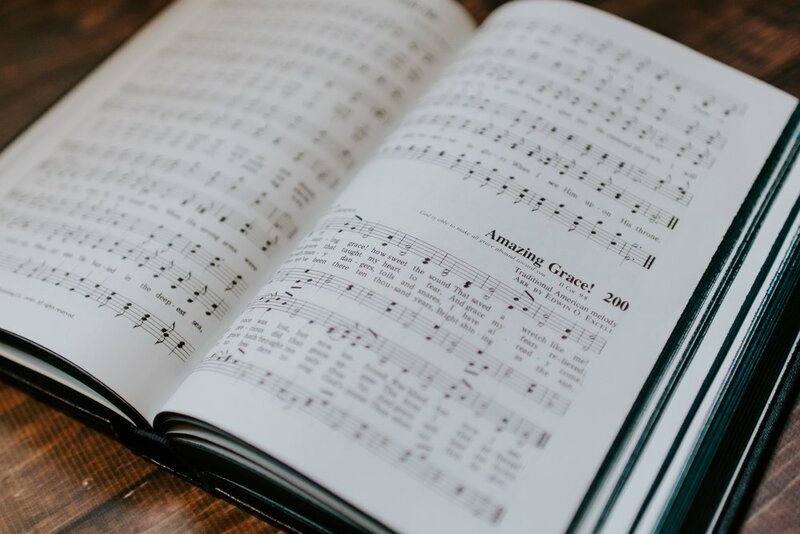 The ancient theologian, St. Augustine, wrote a book about music, “On Music.” In it he described all of creation as song that sings of God’s eternity. And it turns out that the Bible is full of singing too. Happy singing, sad singing, angry singing, mournful singing, confused singing. Whatever sort of emotion you feel, you’ll find that expressed in song somewhere in the Bible. But some songs in the book of Psalms call on God to judge the nations that persecuted Israel. Jesus sang a hymn with his disciples just before he was crucified. And Psalm 23 talks about the Lord being our shepherd who leads us through the valley of the shadow of death, and it was sung by ancient Israel as a funeral song. Singing is still such a big part of most church services. But how should we sing? At Chapel Hill we sing songs that express the full range of human emotion. There are happy, praise songs, sad mournful songs, serious songs and more playful songs. But the goal of our music is not to sing songs that feel ‘just right’ to the tastes of those of us in the congregation. In our culture today we tend to think of music as the soundtrack to our life, a complement to the things we are feeling and experiencing right now. But the trick with singing at church is that although we give expression to our hearts, the music we play also teaches our hearts. Christians have understood that our music is an opportunity to teach our hearts to ‘feel’ like Christians. I’m sad, but singing a song about God’s love might teach me to hope. I’m angry and confused. A simple song about the truth of Jesus as the God-man puts my own angst and frustration in perspective. Singing songs that explore different emotions and themes of the Gospel also remind me that I am not alone. I am part of the church. This song might not particularly resonate with me, but church isn’t about me. We all have different stories and so different parts of the Gospel story bring different sorts of healing and wholeness to different people. Our hearts were made to find their stillness and satisfaction in God, and so it’s only by singing the story of God become like us in Jesus that we can discover the deepest truth and highest beauty that the wonder of music only echoes. Text Me the Top 5 Reasons Why it’s Good to be Going to Church? How do I get more out of Sundays at Chapel Hill?